I am fine. Definitely still recovering and not at 100%, but on my way. I went to class yesterday, which was a pretty big outing. Class went well, but walking across campus after was rough. Today I am doing a poster presentation of my capstone* at a research conference. I am getting a ride to and from, and cut my hours down at the conference so I am only there a half day. Tomorrow I have my post op appointment, then Monday I am back to work for a half day. Baby steps, but getting better. It's funny because as I slowly attempt to get back into the flow of real life I realize exactly how many things I juggle on a daily basis. Balls, all kept in the air, labeled mama, wife, sister, daughter, friend, work, school, homework, capstone, tball, cooking, cleaning.... it's a lot. And as I am working on picking all this back up it seems like the ball labeled blogger might take a back seat. I will be back. I just have to get my rhythm. But don't worry about me! I am on the up and up. 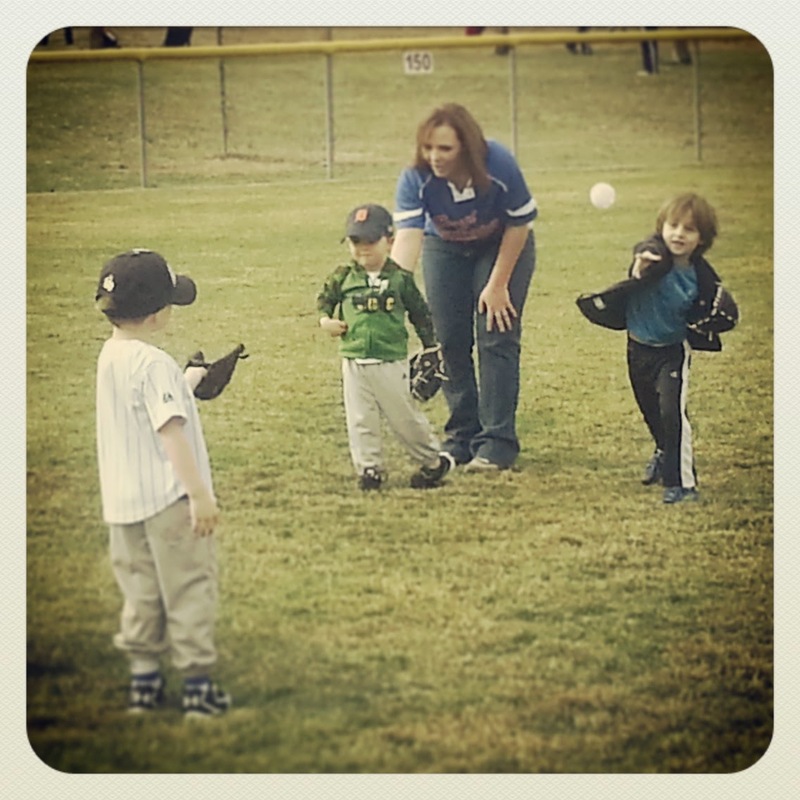 For now, here is a picture of Henry at his first tball practice. *Someone mentioned wanting to read my capstone. You can find it here!